Global Digital Dentistry Training Program DIO Digital Academy Successfully Holds the last Course of the Year. DIO is going to hold 50 courses next year with the fine-tuned specialized training curriculum. 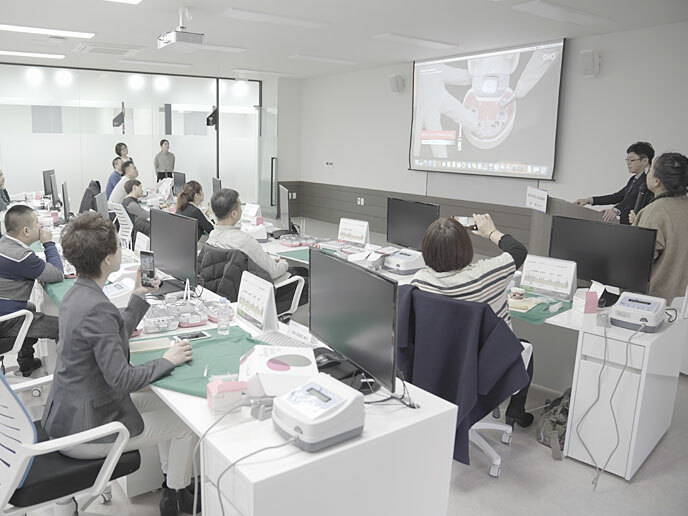 DIO Corporation, a leader of digital dentistry (CEO Jinbaek Kim) successfully held the last DIO Digital Academy course of the year. DIO Digital Academy (DDA) established a joint curriculum in close collaboration with the global prestigious College of Dentistry of New York University (NYU) and the company 3Shape, a global market leader of medical devices industry and dental materials, in aims to world-class engineering experts in digital dentistry. Beginning of September, 4 courses have been held and over 70 dentists from China, Australia and Taiwan have been certified. DIO Digital Academy has truly established itself as a global training academy for digital dentistry. 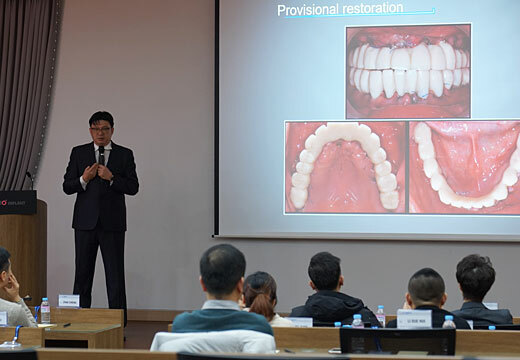 The 4th DIO Digital Academy course was held from Dec 10 to 13 for four days targeting dentists from China. Despite the cold weather, participants showed their enthusiasm during the training course which provided lectures from experts clinically experienced in the Digital Workflow. The digital implant sessions were led by Dr. Dongkeun Chung (Chief Doctor of Segyero Dental Hospital) and Dr. Jaeseok Kang (Director of Mokpo Yedam Dental Hospital). Dr. Chung and Dr. Kang touched on topics including “Digital Flapless Implantology (Must be easy, must be simple)” and “Digital Implant & Clinical case study”, providing expertise on how to effectively utilize the full digital solution and apply it clinically, receiving great praise from the participants. The digital prosthetics session was presented by Dr. Junhyouk Shin (Director of Digital Art Dental Clinic) on “Digital Prosthetics”. Dr. Shin explained each step of the digital workflow and how to utilize it in obtaining accurate diagnosis, analysis and treatment planning, helping the participants to gain a better understanding of the system. Special lectures were provided by Professor Jungbo Huh (Busan National University Dental Hospital) and Dr. Hyangyeon Lee (Director of Michigan Dental Clinic) on “Clinical Considerations and Guidelines for immediate implantation and loading” and “How to troubleshoot complecated cases” respectively. Both lecturers provided extensive know-hows in each session. Live surgeries were also taken by Dr. Dongkeun Chung and Dr. Hyunlak Son (Director of Newton Dental Hospital), and the hands-on session was led by Dr. Jaeseok Kang. The live surgeries and hands-on sessions provided the participants with a great opportunity to see in-depth the speaker’s know-hows accumulated through years of clinical experience and research, in action. Upon learning new surgical techniques using DIOnavi., the participants shared various opinions with the speakers and each other. 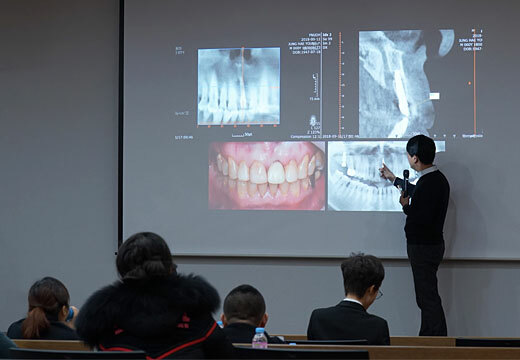 Kangjoon Choi, Vice president of DIO Corporation and the general organizer of the event says, “DIO Digital Academy is becoming a cornerstone in the engineering of world-class leading experts in digital dentistry with its unique and specialized curriculum. DIO plans to invest its resources intensively to diversify the DDA’s curriculum further to make it better to fit the users’ needs and provide more courses in 2019, giving the opportunity for more dentists to participate.” On the other hand, DIO plans to expand DIO Digital Academy in 2019 with more diverse curriculum, and it will hold 50 courses targeting 15 countries and more than 1,000 dentists. Next“DIOnavi. Hits record 200K Holes” DIOnavi. becoming the New Golden Standard in Digital Dentistry. PreviousDIO, “To Gain Success in the Chinese Market Through Digital Innovation”.